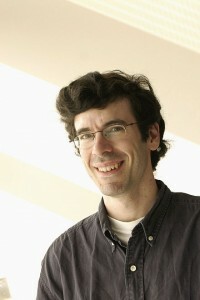 Jon Kleinberg, Depart­ments of Com­puter Sci­ence and Infor­ma­tion Sci­ence, Cornell Uni­ver­sity. Abstract: Many systems involve the allocation of rewards for achievements, and these rewards produce a set of incentives that in turn guide behavior. Such effects are visible in many domains from everyday life, and they are increasingly forming a designed aspect of participatory on-line sites through the use of badges and other reward systems. We consider several aspects of the interaction between rewards and incentives in the context of collective effort, including a method for reasoning about on-line user activity in the presence of badges, and a graph-theoretic framework for analyzing procrastination and other forms of behavior that are inconsistent over time. The talk will be based on joint work with Ashton Anderson, Dan Huttenlocher, Jure Leskovec, and Sigal Oren. Bio: Professor Kleinberg is a professor at Cornell University. His research focuses on issues at the interface of networks and information, with an emphasis on the social and information networks that underpin the Web and other on-line media. His work has been supported by an NSF Career Award, an ONR Young Investigator Award, a MacArthur Foundation Fellowship, a Packard Foundation Fellowship, a Simons Investigator Award, a Sloan Foundation Fellowship, and grants from Google, Yahoo!, and the NSF. He is a member of the National Academy of Sciences, the National Academy of Engineering, and the American Academy of Arts and Sciences. This entry was posted in Uncategorized on January 11, 2015 by Amin Jalali. Henry Wolkowicz, Depart­ment of Math­e­mat­ics, Uni­ver­sity of Water­loo. Abstract: The elegant theoretical results for strong duality and strict complementarity for linear programming, LP, lie behind the success of current algorithms. However, the theory and preprocessing techniques that are successful for LP can fail for cone programming over nonpolyhedral cones. Surprisingly, many important applications of semidefinite programming, SDP, that arise from relaxations of hard combinatorial problems are degenerate. (Slater’s constraint qualification fails.) This includes relaxations for problems such as the: Quadratic Assignment; Graph Partitioning; Set Covering and partitioning; and sensor network localization and molecular conformation. Rather than being a disadvantage, we show that this degeneracy can be exploited. In particular, several huge instances of SDP completion problems can be solved quickly and to extremely high accuracy. In particular, we illustrate this on the sensor network localization problem. This entry was posted in Fall 2014, Uncategorized on November 11, 2014 by Amin Jalali. Peter Bürgisser, Insti­tute for Math­e­mat­ics, TU Berlin. Abstract: The analysis of the stability and efficiency of algorithms for convex optimization naturally leads to the study of condition numbers. The Grassmann condition, which is a geometric version of Renegar’s condition, is especially suited for a probabilistic analysis. Such analysis can be performed by relying on techniques from spherical convex geometry and differential geometry. Along this way, we obtain an average analysis of the Grassmann condition number that holds for any regular convex cone. A closer look prompts the investigation of the spherical counterparts of intrinsic volumes — a notion thoroughly studied for euclidean spaces, but much less so for spheres, so that many fascinating questions remain. Joint work with Dennis Amelunxen. Bio: Peter Bürgisser has been a professor of Mathematics at the Technical University of Berlin since 2013. Prior to that he was a professor of Mathematics at the University of Paderborn. His research interests are algebraic complexity theory, symbolic and numeric computation, and more recently, the probabilistic analysis of numerical algorithms. Bürgisser was an invited speaker at the International Congress of Mathematicians in Hyderabad in 2010 and plenary speaker at Foundations of Computational Mathematics 2008 in Hong Kong. He is an associate editor of Computational Complexity, and an editor of the journal Foundations of Computational Mathematics. He served as a workshop co-organizer for the Foundations of Computational Mathematics conferences (2005, 2008, 2011), for the Special Year on Applications of Algebraic Geometry (IMA 2006/2007), and for the Oberwolfach workshops on Complexity Theory (2009, 2012). His research interests lie in algebraic complexity theory: both the design of efficient algorithms for algebraic problems, and the quest for lower bounds. This entry was posted in Uncategorized on November 10, 2014 by Amin Jalali. Jonathan Hauenstein, Depart­ment of Applied and Com­pu­ta­tional Math­e­mat­ics and Sta­tis­tics, Uni­ver­sity of Notre Dame. Abstract: Classically, one can observe the combination of algebraic geometry and optimization in solving polynomial systems constructed from necessary condition of polynomial optimization problems. More recently, the connection between semidefinite programming and real algebraic geometry has been exploited. This talk will explore another use of optimization related to algebraic geometry, namely to construct homotopies in numerical algebraic geometry for solving polynomial systems. This idea has been used recently to solve a problem in real enumerative geometry. This talk will conclude with using algebraic geometry to solve sparse optimization problems arising from the concept of matrix rigidity. To incorporate a broad audience, all necessary concepts related to algebraic geometry and homotopies will be covered. This entry was posted in Uncategorized on October 23, 2014 by Amin Jalali. Elina Robeva, Department of Mathematics, UC Berkeley. Abstract: Matrices of nonnegative rank $r$ represent mixtures of $r$ independent distributions for two random variables. Likelihood inference for this model leads to problems in real algebraic geometry that we address in this paper. We characterize the set of fixed points of Expectation Maximization, and we study the boundary of the space of matrices with nonnegative rank at most $3$. Both of these correspond to algebraic varieties with many irreducible components. This entry was posted in Uncategorized on May 26, 2014 by Amin Jalali.